At Kilian Chiropractic, chiropractic adjustments are one of the most common services provided by our Vancouver chiropractor. If you've been suffering from ongoing back pain, neck pain, stiffness, or any number of other symptoms, a chiropractic adjustment may be just what the doctor ordered. We offer a number of different adjustment techniques in our office, and all of these utilize holistic, drug-free, and non-invasive care to help improve and optimize your health and wellness. Specifically, a chiropractic adjustment refers to a manual technique where our experienced and skilled chiropractor manually adjusts and manipulates the spinal column using his or her own hands. The purpose of a spinal adjustment is to correct imbalances and imperfections along the spinal column that can have a negative impact on the rest of your body. When your spine is in better overall alignment and balance, you may find that you have more energy and that many of your previous symptoms are relieved. Back adjustments can be part of a treatment plan for a specific injury or medical condition you're experiencing, or they can be used as part of your routine health and wellness plan to prevent back and neck problems from creeping up in the first place. How Can a Back Adjustment Help You? There are many conditions and injuries that a back adjustment can help treat and relieve—some of which are surprising to many of our patients. Back and neck pain is the most common issues often successfully treated using spinal adjustment therapy, as is neck stiffness. After all, a back adjustment can help to relieve some of the tension and relax the muscles along the spinal column, which can in-turn provide relief from these symptoms. However, did you know that a spinal adjustment can also be effective in treating persistent headaches and migraines? What about carpal tunnel syndrome or even plantar fasciitis? Many of our patients do not initially realize just how inextricably linked their spinal health and other areas of their overall health care. When you take care of your spine and correct those imbalances, you may be surprised at just what difference this can make. You can find relief from those pesky symptoms, and you might also find that you feel more energy overall. 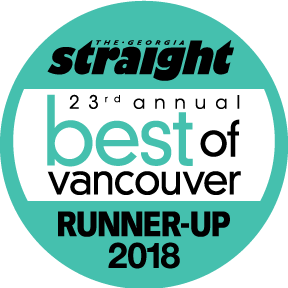 If you're interested in finding out more about our spinal adjustment therapy options or would like to go ahead and schedule your first spinal adjustment with our Vancouver chiropractor, why not give our office a call today? You can reach our team at Kilian Chiropractic by calling us at (604) 688-0724.